No doubt that a certain food writer was a part inspiration in the name of this blog. It’s been a constant reminder of my intention to live a more balanced life and be as much a home-maker as a working professional. Almost six years on my “domestic” ambitions have become increasingly important as far as food is concerned. 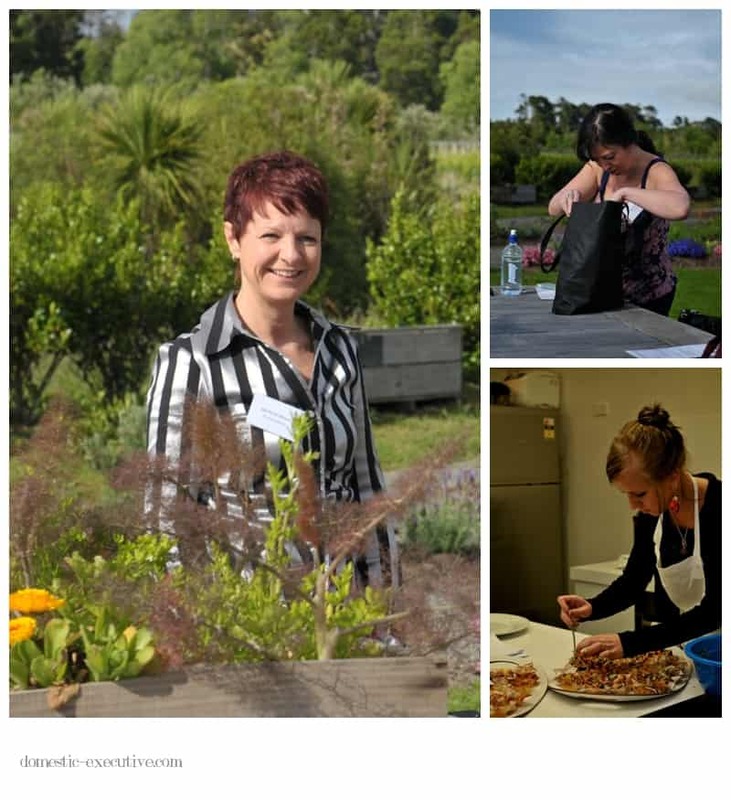 Growing food, cooking, eating, reading and thinking about food seems to be and ever consuming interest and the primary reason I signed up as a member of the recently formed New Zealand Food Bloggers Association. 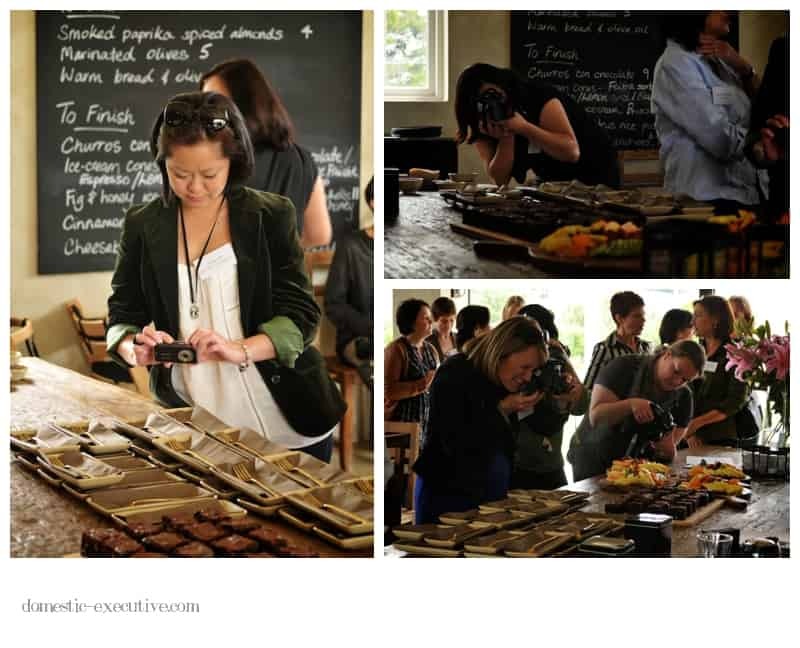 Last weekend I was lucky enough to travel to Auckland for the weekend to be part of the Inaugural NZ Food Bloggers Conference. I have to admit I arrived in Auckland slightly worried I might be found out as a fraud amongst a contingent of people who almost exclusively write about food on their blogs including recipe creators, cook book authors, food photographers and specialist food bloggers. I t didn’t take long though for those worries to ebb away as I found myself surrounded by friendly, like-minded people whose sole aim was to immerse themselves in thinking and talking about food and food blogging. People who have only previously connected by Twitter, Facebook or though reading each others blogs were deep in conversation as those they had been friends for years. In the words of Anne Shirley in Anne of Green Gables we were kindred spirits. Aside from the main event, I was lucky enough to be part of a slumber party hosted by avid foodie and tweeter, @Toast NZ. Mairi opened her home to four Wellingtonians who had travelled up for the conference making us feel very welcome and adding another layer of enjoyable socialising to the weekend. All in all it was a fun weekend where friendships were forged and new ideas gestated. Plans are afoot for another similar event next year. I feel lucky to have been at this first one and look forward to meeting up again with the Wellington contingent in the not to distant future. 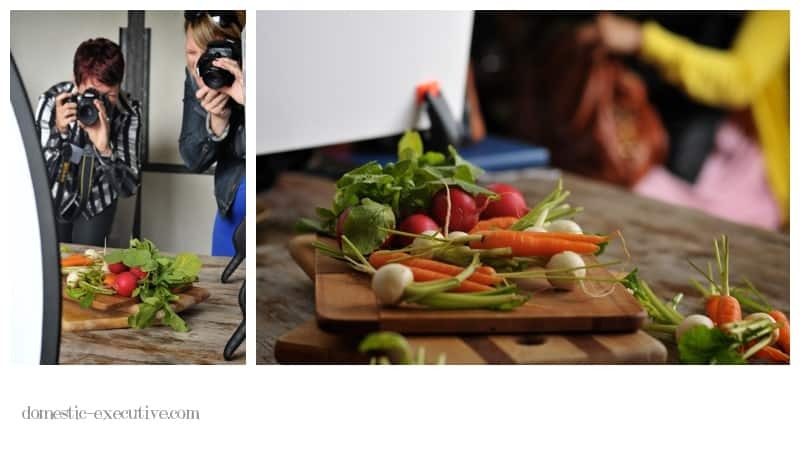 Bron Marshall ran a wonderful session on food photography with top tips on how to light and style food for photography. As you might imagine this was one of the highlights of my day. Using finding ways to turn dark or unbecoming light into something that makes the food stand out and be appetising. It may have been a grey overcast moment on Sunday when Mairi’s house guests visited One Tree Hill for a spot of brunch and sightseeing but it didn’t stop the fun. For all the serious chat about food, photography and blogging my abiding memory was the laughs we shared. Thanks Ladies for being such marvellous companions! Such gorgeous photos! It was a fabulous day wasn’t it?! It was an amazing day – roll on the next one! 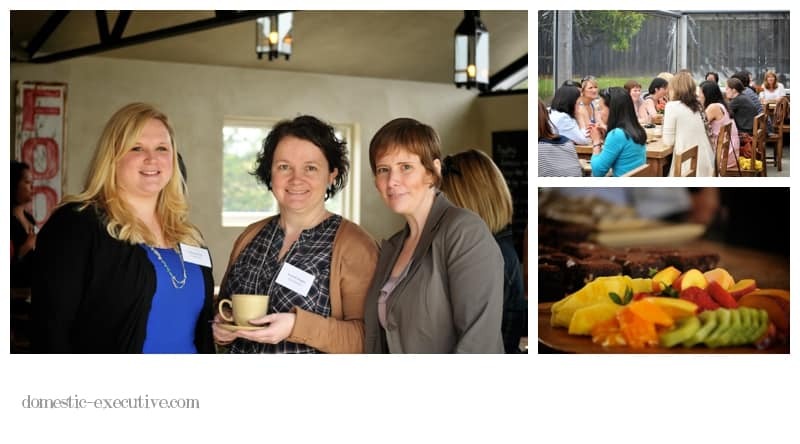 I can’t wait for the next one either, it was so much fun and fantastic to meet so many creative and passionate foodies. I think you you’ve got a new band of groupies to follow you Bron! Thinking we should get a meet up organised soon. Will get on the case this week. Can’t wait for Grab a Seat to come up so you’ll come visit soon. This is great Julie, a cool reportage and lovely photos :-). I am glad that you enjoyed, and I hope that something will happen in Wellington soon, and it was great to meet you! I think that many people blog about many other things apart from food, and I like reading lots of different topics myself, so there you go, you have an eclectic blog :-)! I’m glad that you didn’t feel like a ‘fraud’ amongst us food bloggers! Hi Andrea, was a wonderful day and glad I overcame my inner voice! Beautifully written post, Julie! I felt a little like a fraud as well going in to the conference, but that was definitely put to rest after a few hours with you, Mairi, Vivianne, and Rosa! And everyone else at the conference as well the next day. I hope we all get to meet up again soon! Also, I love the birdies on your blog, they are adorable! Hi Christina, being with kindred spirits is fun! Look forward to a Wellington meet up soon. Fabulous recap of the event, I love the pics of you girls having a hearty laugh together and the ‘caught in the act’ shot of Mairi riffling through her goodie bag. Wonderful to meet you and I hope to get to Wellington for a catch up with everyone soon. Would be great to see you down in Wellington Alli – see what you’ve started here! Ah so nice to see photos of all the ladies behind the blogs I read 🙂 Sounded like such a great day, will hopefully make it home for next years! You should definitely try next year – will be a blast I am sure. That sounds like an amazing day! It’s nice to put a face to a blog. Sounds like you enjoyed it! Great fun – one day really wasn’t enough! Such a well-written account of the day and your photos of the girls on One Tree Hill are lovely and natural. Love your layout too. 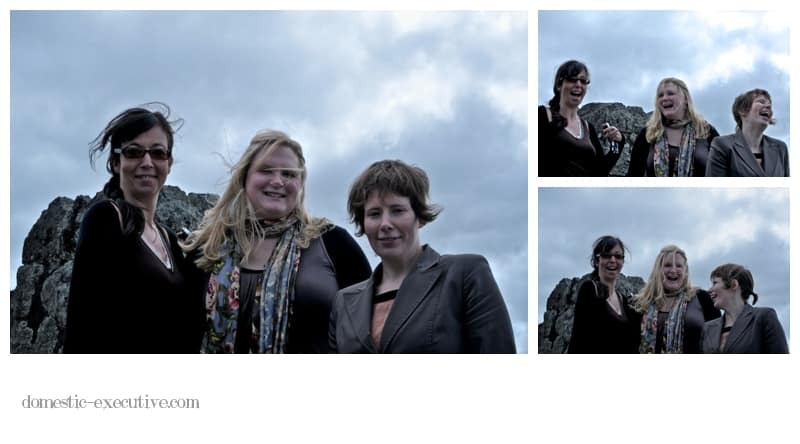 Thanks Lesley – it was blowing a gale up on the Hill but didn’t stop us having a good giggle.